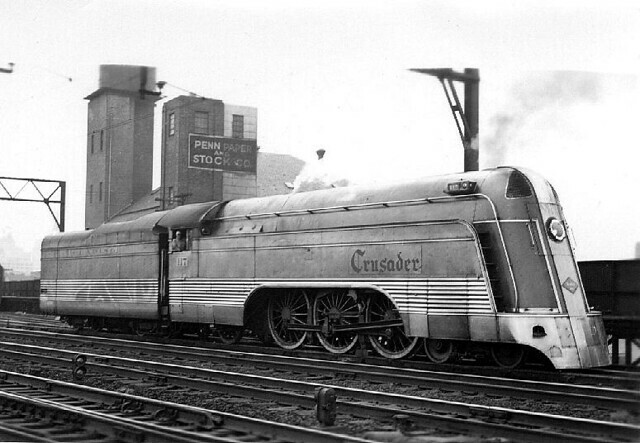 The Reading inaugurated the Crusader on December 13, 1937 - a five-car trainset. 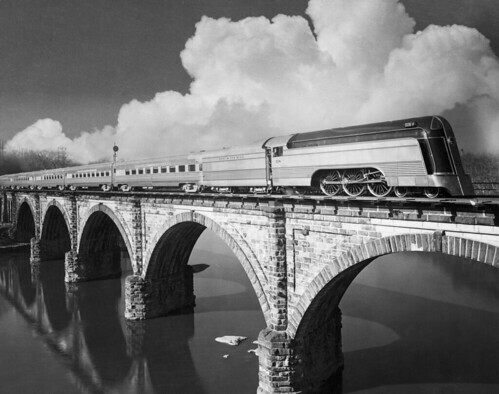 Budd cars were built from stainless steel, with with a round-end observation car at each end of the streamliner. 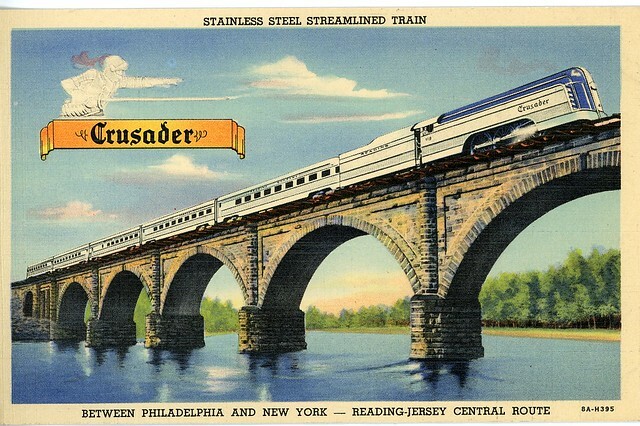 The Crusader operated between Jersey City and Philadelphia on a twice-daily round trip schedule. 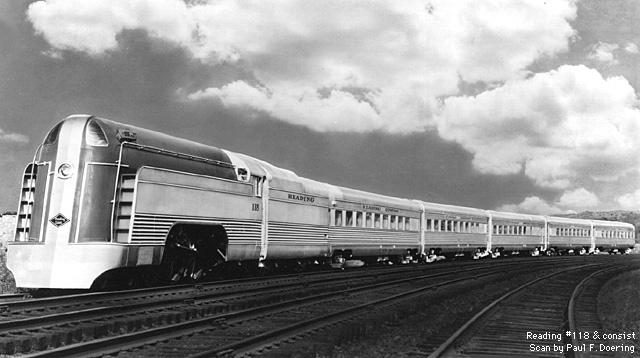 A pair of G-1sa Pacific (4-6-2) locomotives and tenders were streamlined with fluted stainless steel panels to match the Budd stock. The tenders were rebuilt so the rounded observation seemed to provide a smooth transition between the tender and the rest of the trailing train set. 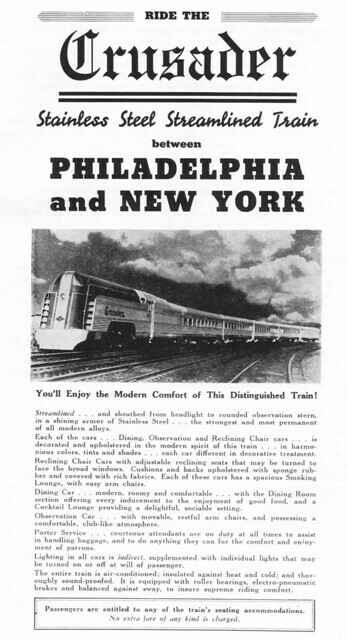 Two locomotives, 117 and 118, were based in Philadelphia with one completing the Philadelphia – Jersey City morning round trip and the other completing the afternoon round trip. 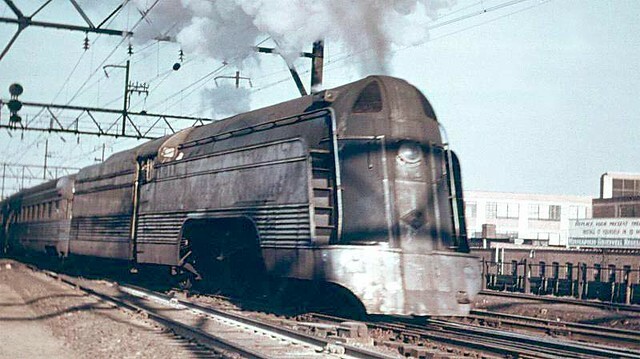 A pair of EMD FP7As operating back to back in 1948 replaced the Reading 117 and 118 streamliners originally assigned to the Crusader and the steam locomotives minus their streamlining were assigned elsewhere. The Pacifics did not last long as they were replaced in 1950 by EMD FP7 diesels.